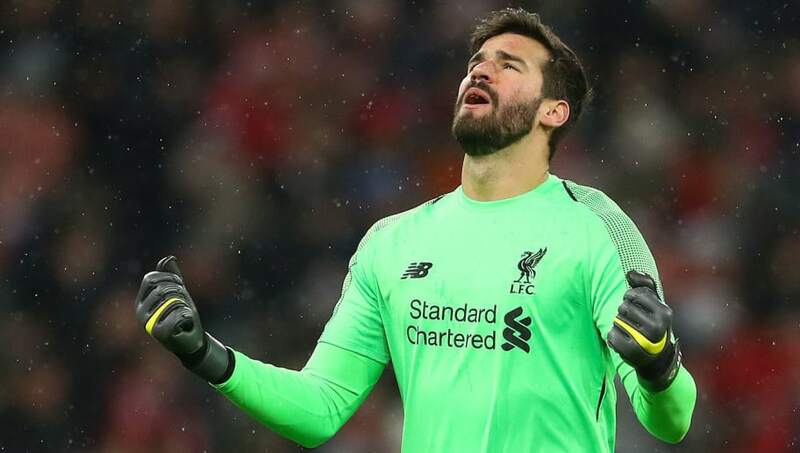 ​Liverpool's goalkeeper kit for the upcoming 2019/2020 season has seemingly been leaked online, with a significant change in colour on the cards. ​After images of the Reds' New Balance home shirt for the next campaign was leaked online on Monday, pictures of the shirt Alisson and Simon Mignolet could be donning next season has also nowseemingly been revealed. As revealed by ​Footy Headlines, the goalkeeper kit for ​Liverpool next season is likely to represent a major shift from the vibrant yellow, green and pink varieties seen across different competitions this year. After seeing off Chelsea 2-0 at Anfield in the ​Premier League, Jurgen Klopp's men return to Champions League action when they take on Porto in the second leg of their quarter-final tie on Wednesday.